So what is the bottom line? 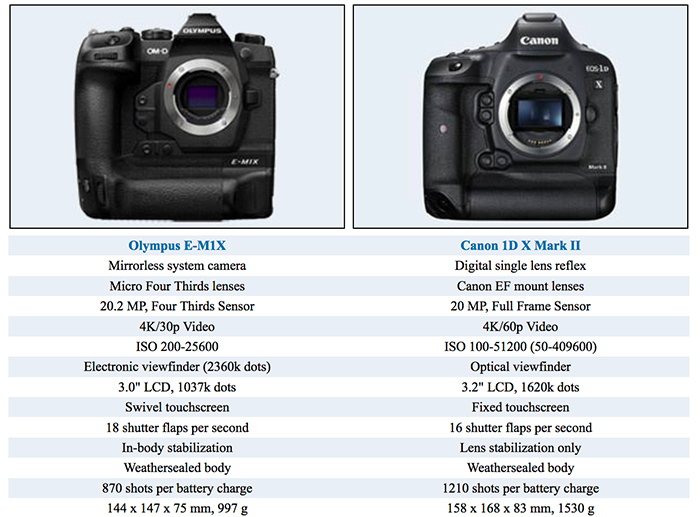 Which of the two cameras – the Olympus E-M1X or the Canon 1D X Mark II – has the upper hand? A synthesis of the relative strong points of each of the models is listed below. Maximized detail: Lacks an anti-alias filter to exploit the sensor’s full resolution potential. High quality composites: Can combine several shots after pixel-shifting its sensor. Faster burst: Shoots at higher frequency (18 vs 16 flaps/sec) to capture the decisive moment. More compact: Is smaller (144x147mm vs 158x168mm) and thus needs less room in the bag. Less heavy: Is lighter (by 533g or 35 percent) and hence easier to carry around. More affordable: Was introduced into a lower priced category (50 percent cheaper at launch). 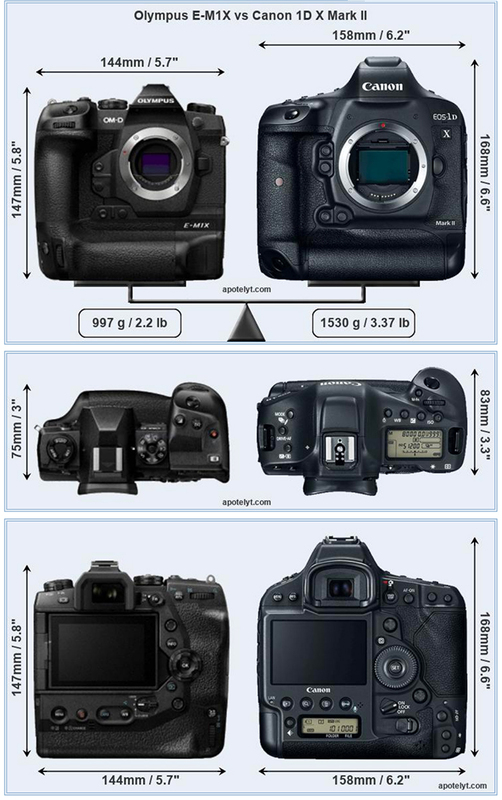 More modern: Reflects 2 years and 11 months of technical progress since the 1DX Mark II launch. Larger screen: Has a bigger rear LCD (3.2″ vs 3.0″) for image review and settings control. More detailed LCD: Has a higher resolution rear screen (1620k vs 1037k dots). Longer lasting: Gets more shots (1210 versus 870) out of a single battery charge.